In this San Francisco Chronicle article, author Leah Garchik shares her personal tour of the India Basin shoreline with San Francisco Rec and Park General Manager Phil Ginsburg. Ginsburg shared his enthusiasm for this collection of green spaces that include 57 acres of recreational space and 1.7 miles of contiguous shoreline trail. BUILD has been honored to participate in the creation of this asset for this city and is excited to see it come to life over the next several years. 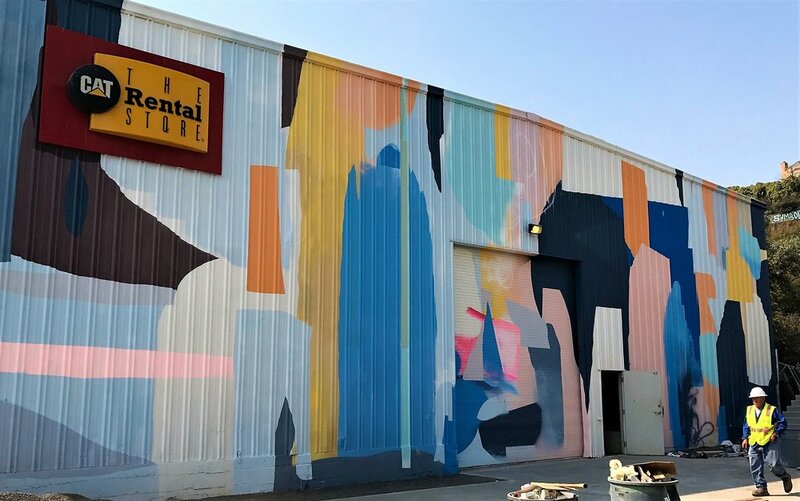 Artist Victor Reyes has completed painting the mural that encloses one side of the new Dogpatch Arts Plaza, which is wrapping up construction at our 650 Indiana project. The Plaza's second major art piece--"The Centaur" by Laura Kimpton and Antonio Ruperto--is scheduled to be installed before the end of September in time for the Plaza's grand opening in the first week of October. You can learn more about the Dogpatch Arts Plaza and its community events, including an upcoming concert series, at http://www.dogpatchartsplaza.org/events-1/.